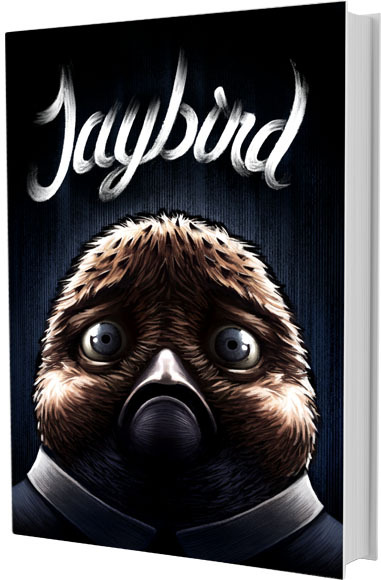 Lauri and Jaakko Ahonen created an Indiegogo campaign for their darkly comic full-color graphic novel Jaybird. Evidently it was quite successful, as now it’s been published! “Little Jaybird lives in a very large house alone with his bedridden mother. Portraits of dignified ancestors look down upon him from dusty walls. At times also a curious spider peeks from between the cobwebs. Even though it’s safe inside the house, with its doors barred and windows boarded up, reality can’t be shut outside forever.” It’s available now for download (complete with original soundtrack music), and this September Dark Horse Press will release it in a hardcover book edition.